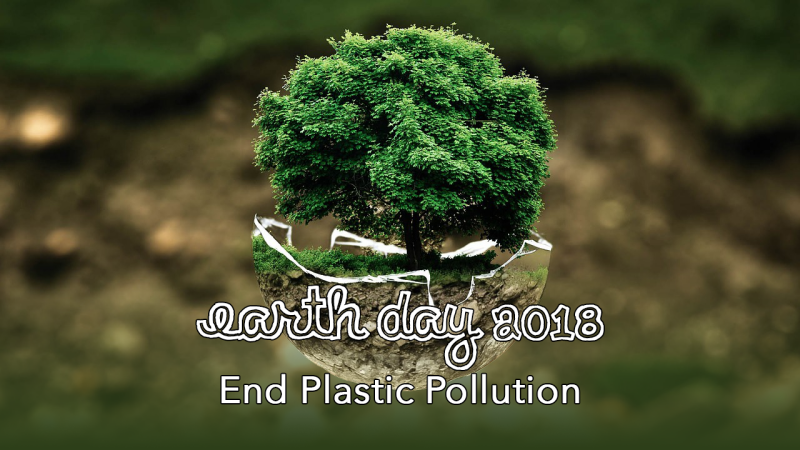 Earth Day 2018: End Plastic Pollution - Planet Aid, Inc.
April 22 is Earth Day, which, according to the Earth Day Network, is “the world’s largest environmental movement.” Each year millions of people around the globe gather together to clean up their environment and reaffirm their personal, organizational, or national commitment to protecting the Earth. Planet Aid has honored the day by holding donation drives or helping clean up the local environment by participating in events such as the Howard Country Cleanup in Maryland or by adopting and cleaning up trails and other areas. This year’s Earth Day theme is “End Plastic Pollution.” In line with this theme, we’ve gathered some information about the history of plastics and some practical ways to help reduce plastic consumption. Plastics are everywhere: soda bottles, Tupperware, grocery bags, shampoo and conditioner containers, and keyboards. Even some clothing is made from plastic (like nylon). Most of the plastics we’re familiar with were developed in the last 100 years, because that’s when one scientist figured out how to produce synthetic plastic from fossil fuels. Before that, plastic did exist—it was just natural. “Plastic” is really just a name that we give to a set of materials that are made up of polymers. Polymers are long chains of the same molecule repeated over and over. This happens naturally—keratin for instance (what your hair and nails are made of) is a natural “plastic.” It’s chemically the same as a soda bottle, but it’s made naturally instead of from fossil fuels. The discovery and development of synthetic plastics by Leo Baekeland in 1907 is what set off the rush of plastics into our everyday lives. Plastics (in the sense of polymers) aren’t the enemy—the excessive manufacture of synthetic plastics is. Synthetic plastics use a lot of fossil fuel to be made, and with the addition of synthetic plastics to natural plastics in the world, there’s now too much in the environment. Synthetic plastics do not decompose like organic materials do. They are able to sit for hundreds of years and still hold their shape. That means that all those one-time-use plastics the world has been using for the past 100 years are still sitting in landfills, taking up space, and creating greenhouse gasses. That is, if they make it to a landfill. Plastics often end up as litter in wooded areas, the ocean, or other habitats. This is causing issues for a multitude animals and their way of life. Especially with new discoveries on the potential havoc microplastics cause, there is more and more pressure to ensure the safety of the Earth by a reduction in plastics. 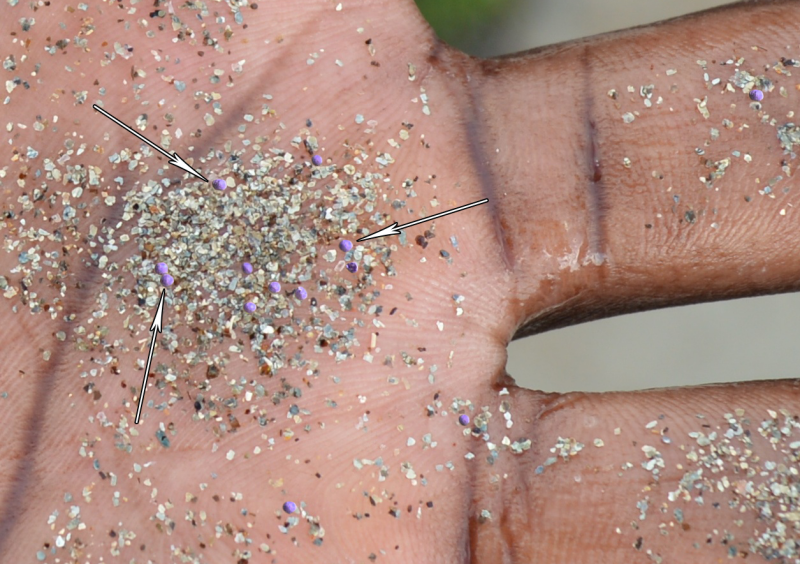 Microplastics find their way into the world’s waterways and oceans from our washing machines. Clothing, especially items made from synthetic materials, sheds small fibers while being washed. These pieces are small enough that you don’t see them and water treatments can’t catch them. They then end up in the bellies of sea creatures and on our shorelines. We all have heard the three R’s: Reduce, Reuse, Recycle. These are listed in this order because this is the order that makes the most impact. We should strive to reduce as much as possible, reuse what we do use, and then recycle anything that can’t be reused. When it comes to plastics there are many ways that you can reduce, reuse, and recycle. Check out the Guppy Friend wash bag or a laundry filter, which help catch microplastics that are released during the washing process. Get a reusable glass or metal water bottle instead of buying bottled water. 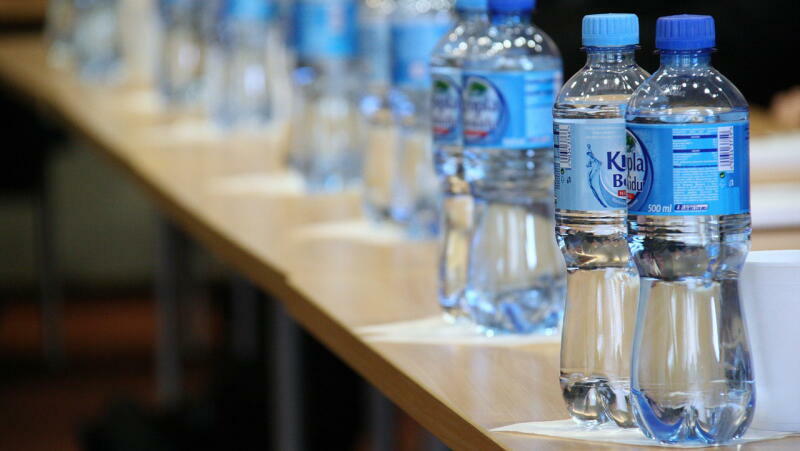 Worried about the taste of tap water? Then get a pitcher with a filter. It’ll taste just as good, and uses a lot less disposable plastic. Use a travel mug for your morning coffee, even when you stop at a coffee shop. Many shops (like Starbucks) even offer a discount for purchasing your coffee with a reusable mug. Purchase clothing made from natural fibers that will decompose, unlike synthetic fibers. Whether they release fibers into the washer or end up in the garbage, the natural fiber is a much better choice. 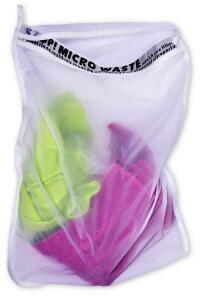 Don’t use re-sealable plastic bags to store leftovers or pack your lunch. Use your Tupperware instead, or get containers with separate compartments. As you replace your Tupperware, purchase glass or metal options that last longer and are more sturdy. Take a container with you when you eat out to put your leftovers in. It will cut down on your need for Styrofoam and plastic containers. Stop using straws, even at restaurants. If you really like straws, then get a set of reusable stainless steel straws. Make your own laundry detergent. A liquid detergent causes less friction and releases fewer fibers than a powder. But, liquid detergent comes in plastic tubs. Making your own eliminates two sources of extra plastic! Hop on over to our DIY Cleaning Supplies blog for a detergent recipe. Purchase what you can in bulk and store the excess in containers at home. Bulk foods have less plastic packaging, and are usually much cheaper. If you’re a parent, look at ways to cut back on plastic use with you children. Make your own baby food, use glass bottles, and buy or make cloth diapers. Hopefully these tips will help you make your affirmation (or reaffirmation) to protecting the Earth through reducing your plastic consumption this Earth Day. Learn more about what you can do from the Plastic Pollution Coalition. Take action with the 4Rs Pledge through the Plastic Pollution Coalition. Learn more or take the Pledge here!